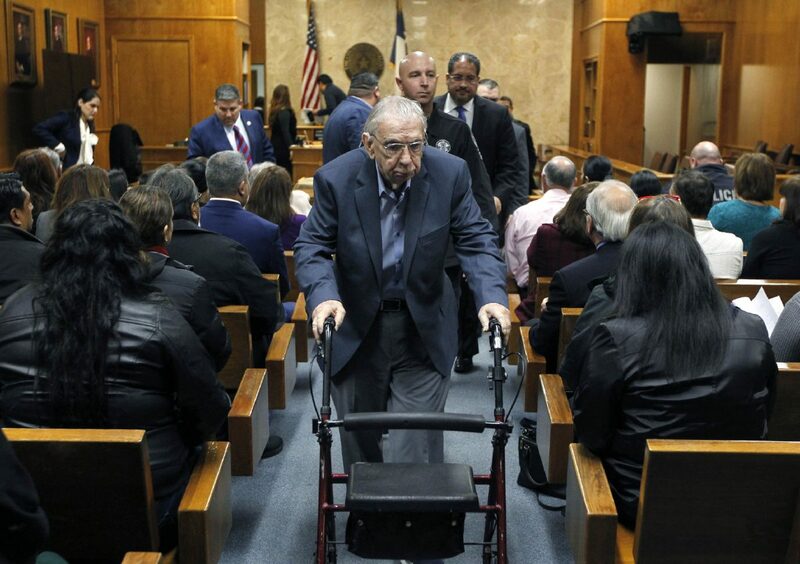 John Bernard Feit leaves the 92nd state District Court following closing arguments in his trial for the 1960 murder of Irene Garza Thursday, Dec. 7, 2017, at the Hidalgo County Courthouse in Edinburg. A jury found ex-priest John Feit guilty of the April 1960 murder of Irene Garza, a McAllen schoolteacher and former Miss South Texas. The verdict came after five days of hearing witness testimony and several hours of deliberation today. This is a cold case that has captivated the Rio Grande Valley as well as national attention for the last 57 years. Feit has elected to have the jury provide his punishment. Sentencing is set for 10 a.m. Friday.